Violence also occurs between Muslims, on the one hand, and Orthodox Serbs in the Balkans, Jews in Israel, Hindus in India, Buddhists in Burma and Catholics in the Philippines. Islam has bloody borders. The story begins around 650 C.E. 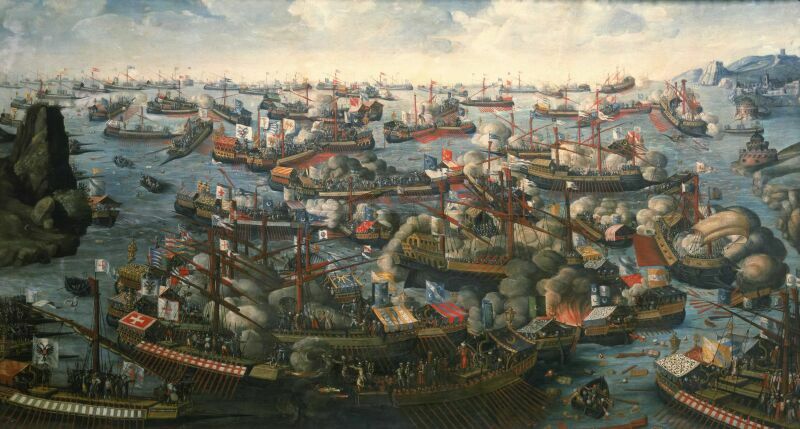 with the first, unsuccessful siege of Constantinople, and continues with the invasion and occupation, sometimes for hundreds of years, of many European countries. Italy, Sicily, Portugal, France, Spain, Austria, Bosnia, Serbia, Croatia, Hungary, Rumania, Wallachia, Albania, Moldavia, Bulgaria, Greece, Armenia, Georgia, Poland, the Ukraine, and eastern and southern Russia were all battlefields where Islam conquered or was conquered in violent conflicts marked by cruelty, bloodlust, and a fearful loss of life, spread over considerably more than a thousand years. For over a century and a half the world had forgotten this fact, since most Muslim countries were politically impotent and ruled mainly as the colonies or protectorates of European powers. … European history has remained transfixed on the Christian Crusades of the eleventh to the thirteenth century, it has largely ignored these Muslim attacks and invasions...When accusing the West of imperialism, Muslims are obsessed with the crusades, but have forgotten their own longer and more gruesome Jihad. The Crusades were a series of defensive wars against Islamic aggression in the Middle Ages and attempts to recapture the Holy Land from Muslim conquerors in order to allow safe pilgrimage and to protect and maintain the Christian presence there. Jerusalem had been Christian for hundreds of years when Caliph Omar seized it, and following that victory, Muslims warred their way into Egypt, other parts of Africa, Spain, Sicily, and Greece, leaving Christians dead and churches in ruins. They stole lands in the area now known as Turkey, destroying Catholic communities founded by St. Paul himself. They siezed Constantinople -- the "second Rome" -- and threatened the Balkans. They warred their way as far north as Vienna, Austria and Tours, France. When they [Muslims] had despoiled all the country near to Damascus, they advanced to Jerusalem, took it by storm, and put all the Christians to the sword. The women and girls, having suffered every insult from a brutal disorderly soldiery, were loaded with chains. They destroyed the church of the Holy Sepulchre; and when they found nothing among the living, to glut their rage, they opened the tombs of the Christians, took out the bodies, and burnt them. Surah 47:4: "When ye meet the unbelievers, smite at their necks"
Surah 4:74: "To him who fighteth in the cause of Allah" [whether he is slain or gets victory] "soon shall we give him a reward of great value." In other words, Christians are to "convert, submit, or die" 2. The Hadith (in Abu Huraira) tells us the "prophet" said, "I have been ordered to fight with the people till they say, 'None has the right to be worshipped but Allah,' and whoever says, 'None has the right to be worshipped but Allah,' his life and property will be saved by me except for Islamic law, and his accounts will be with Allah, (either to punish him or to forgive him.)" OK, so why does the typical Westerner shiver when thinking of the Crusades? Why are Catholics hated for defending Christendom? For the same reasons Christians of all kinds, Protestant or Catholic, are hated in our increasingly secularized world: "I have given them thy word; and the world hath hated them, because they are not of the world, even as I am not of the world." (John 17:14) Christianity and its virtues have been under attack since the time of Christ, and even more so since the so-called "Enlightenment." After centuries of attacks on the Catholic Church in "Reformation" circles and the later, consequent rise of secular humanism, moral and cultural relativism, and political correctness rooted in Frankfurt School "critical theory," the Crusades came to be seen and taught as an example of "Western Imperialism" or "Colonialism." It's also ignorantly presented as the most egregious example of war "caused by" religion. Because members of the Church were doing the fighting, Christianity itself, and Catholicism in particular, were slandered as a cause of violence. Note how the same people who scream about the Crusades tend to be those who ridiculously scream about "religion" being at the root of all wars, completely ignoring not only the facts of the Crusades -- e.g., why they were fought, how they were a defensive response to Muslim aggression, etc. -- but also the fact that atheistic communism and pagan Nazism killed hundreds of millions in the 20th century alone. Stalin, Hitler, Mao-Tse-Tung, Pol Pot, Castro, Che Guevara -- the list of those killer atheists goes on and on, and the number of their victims is so large as to be unfathomable. All this understood, it must be said, however, that the Popes' noble, reasonable purposes for those wars sometimes became entangled with the purposes of those with secular interests, people who were more interested in dynastic feuds, economic concerns over Mediterranean trade, or destroying the Eastern Roman Empire than defending Christendom from the Muslim onslaught. Many "bad guys" jumped onto the Crusades bandwagon and evil was done by some of these Crusaders. The sacking of Constantinople in revenge for being betrayed by the Easterners and for their earlier "Massacre of the Latins" in 1182, and the murder of Jews along Crusade routes did take place and are deeply lamentable. There is no excuse for such behaviors except human evil, but this evil was not in any way sanctioned by the Church, in no way reflects on Church teachings or Her purposes for the Crusades, and resulted in the excommunication of many Crusaders responsible. War is an evil. It's sometimes, sadly, a necessary evil. And even during the Crusades -- just wars if there's ever been a just war in the history of man -- evils were committed. But those evils were absolutely in spite of, not because of, Church teaching, unlike Muslim violence which is explicitly prescribed by the teachings of Mohammad. Please watch this highly educational video! A much briefer video follows, a very important one dealing with the fact that "not all Muslims are jihadists." Something else that must be realized by non-Muslims is that the Islamic doctrine of taqiyya encourages Muslims to lie to achieve their goals. It is not only allowed by the Koran and hadith to lie in self-defense, but to lie with the ultimate goal of overpowering and forcing non-Muslims to submit. It is allowed to act friendly and bide time until Muslims are a majority, at which time, shariah law is enforced, and women lose their rights and are forced to wear burkas, homosexuals are thrown off of rooftops, alcohol and pork are forbidden, dogs are treated as filthy creatures and not beloved pets, cousin marriage and inbreeding abound resulting in a large increase in birth defects, etc. We show how the prevailing majority opinion in a population can be rapidly reversed by a small fraction p of randomly distributed committed agents who consistently proselytize the opposing opinion and are immune to influence. Specifically, we show that when the committed fraction grows beyond a critical value pc=10%, there is a dramatic decrease in the time Tc taken for the entire population to adopt the committed opinion." 10%. Inevitable. And now consider chapter 8 of Nicholas Taleb's book "Skin in the Game" and what it reveals about how "The Most Intolerant Wins." Then ask yourself what sort of world you want your children and grandchildren to grow up in. Better decide now. And act now to make it so. 1 Catholics aren't strictly "People of the Book" though we see the Old and New Testaments as the infallible and inspired word of God; we are "People of the Church," and have three sources of authority rather than the Protestant single source of Sacred Scripture -- with Protestant versions of the Bible being typically abbreviated, having entire Books removed, to boot. In addition to Sacred Scripture, we have Tradition and the Magisterium (the teaching authority of the Church). 2 The inherent evil of the Muslim religion does not mean that all who call themselves "Muslims" are evil! Many Muslims are of the same sort, religiously speaking, as many "Christians"; they don't take their religion that seriously, are merely "cultural Muslims," have enough natural virtue to try to explain away and defuse the Qu'ran's exhortations to violence, or are simply ignorant about what orthodox Islam teaches, and about Islam's violent history. May God bless, not their religion, but them, bringing them to all Truth, Who is Christ -- not only a Prophet, but the Son of the Living God. Salaam.